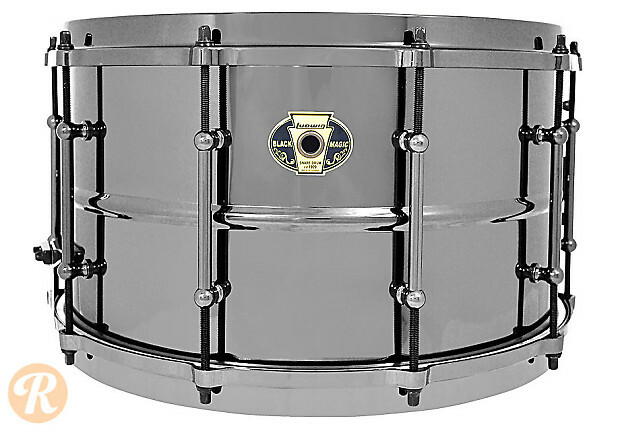 Standing on the shoulders of the giant Black Beauty, the Ludwig Black Magic snare seeks to update a classic. Featuring all black nickel hardware and hoops over a black nickel on brass shell, the Black Magic combines the legendary tone of the Black Beauty with a sleek, modern look. The 8x14, based on the Ludwig Coliseum, is the epitome of low-spectrum power and stands pound for pound with any half stack.